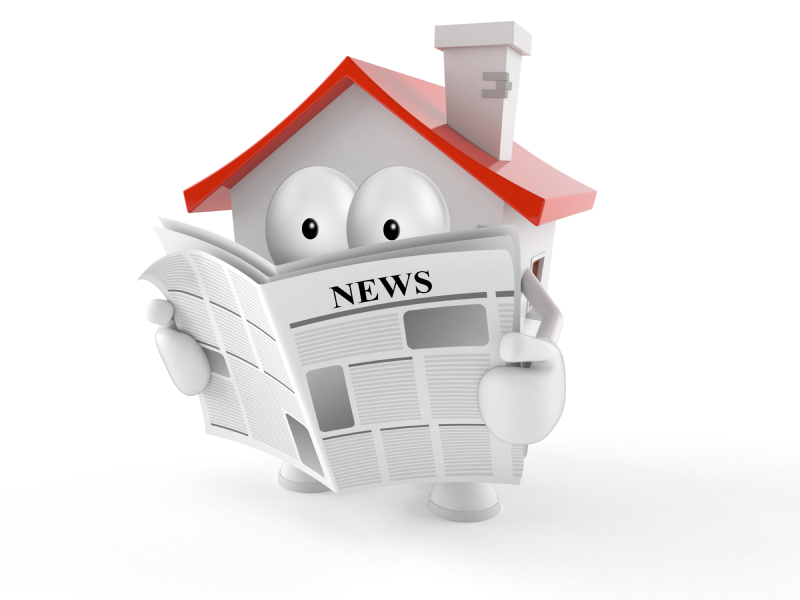 It’s a mixed bag of good and bad news for home buyers and sellers these days. Imagine you're a seller who has made improvements to your home, you list it, get an offer only to find out an appraiser says the home was not worth the contract price. That’s just one of the problems home sellers are running into these days. The good news is he number of homes going under contract in June was up 5.8% over the same month the year before. But the downward trend continues for the number of homes actually closing. In June the total was down 6.9% from June 2014. From a distance that trend is no big deal, but after looking more closely at the problem there are three concerns that are causing fewer closings this year compared to last year. Appraisals - there are 5.7% fewer homes on the market this past June compared to June 2013. In some areas of Louisville buyers were literally climbing over each other last month to get a home that was in good condition and priced correctly. In a number of cases the final sales contract was well in excess of the original asking price. When appraisers were being asked to appraise the home they had to use antiquated 3 ½-year-old appraisal guidelines (created by the government and banking institutions)when we were in a receding market. Obviously we are no longer in that market, yet the appraisal guidelines remain the same. Appraisers can only go back 4 to 6 months in time and a maximum of ½ mile radius from the subject home. Appraisers can make exceptions to those guidelines but they have to add documentation and may be subject to a second appraiser being called in to verify the information. Because those new appraisal guidelines also required the establishment of an intermediary company to prevent banks from talking to appraisers, for the past 3 1/2 years the appraisers have been making less money on each appraisal and have less of an incentive to go outside the appraisal guidelines. All of this represents a serious problem to homeowners and buyers. The guidelines were put in place to prevent the double digit appreciation found in parts of the country during the mid-to late 2000’s. But clearly double digit appreciation was never a problem and Louisville before and certainly updated guidelines could be formulated to allow for an area of town that’s appreciating quickly. But as of right now that’s not possible. Mortgage companies - because of government regulations (see a trend here) mortgage companies were told to back off when it comes to verifying information that buyers are telling them about their finances. As a result when a buyer goes to a mortgage company to get a preapproval letter (a letter stating that the buyer is qualified to purchase a home in a certain price range) the mortgage company can only listen to the buyer and estimate what that buyer can afford as a payment. Unfortunately some buyers may not be fully aware of the amount of money they owe or have in their bank account. Subsequently when a loan officer runs an actual credit check and verification of income and savings the figures may not add up. That puts a hold on a home purchase until the buyer can provide documentation and if they can’t, the loan and sale falls apart. Home inspectors - The third factor in contracts falling apart is because of overzealous home inspectors. The reason a home inspector is hired is to make sure there are no structural or safety hazards with the home. Any cosmetic issues are presumed to have been seen when the buyer visited the property and the offer to purchase was commensurate with the need for cosmetic improvement. But there are home inspectors in the industry who see themselves as Louisville’s answer to the TV show Holmes on homes (it stars Canadian contractor Mike Holmes going after shoddy repair work done by contractors). The Louisville version of these types of home inspectors take the inspection into a whole different level. We just had one inspector claim a water heater was at the end of its life when it was only five years old. Another home inspector condemned an entire condominium project because he felt the condos (which have been around for more than 20 years and sold hundreds of times) were not properly built. When a home inspector believes a house has problems (where there are none) the buyers tend to side with the home inspector and walk away from the home there's no recourse for the seller other than just relisting the home. Naturally if there are structural or safety problems with the home they need to be corrected and the problems noted on the disclosure along with the repairs. July should be one of the most productive months of the year for home sales. The big concern is that too many people waited until the very last minute to put their home on the market and are trying to cash in because they year homes are selling quickly. If the market gets flooded with homes that are overpriced appraisers are not going to approve the sale and buyers are going to walk away. It’s more important than ever before that the agent you choose know the market and how to create a market analysis that reflects the true value of your home. Don’t be induced by someone who sits at your table and tells you they can get well over the market value of your home. There are safeguards in place to prevent that from happening. If you’re thinking about listing your home and you want an accurate picture of what it’s worth don’t hesitate to call us 24/7 at 502-376-5483. If you thinking about buying a home we have a team of agents ready to help day, night and weekends. For more information about Louisville Real Estate or to work with the hardest working Real Estate Team in Louisville Kentucky “The Sokoler Medley Team” (AKA The Real Estate Bulldogs) at RE/MAX Properties East 1head to https://www.weselllouisville.com or call (502) 376-5483. With a decision this important, it’s nice to have a team of BULLDOGS on your side!